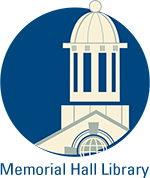 April 17, 1896 AT – p1 - Asa O. Sewell, contractor & builder contracted to build two new houses on Mineral Street, one for Thomas David and one for William Angus. The houses will be built after the contractors special plans for modern dwelling houses. These houses include all the latest and best fittings, and the contractor delivers them complete ready for occupancy. June 19, 1896 AT Abbott Village - Work has started on David Leslie’s house on the new street. Asa O Sewell is the contractor. July 3, 1896 AT p5 - The woodwork has been started on David Leslie’s house. Nov. 13, 1896 AT – David Leslie is occupying his new house on the street recently cut off Mineral Street. David C. Leslie was born in 1853 in Scotland, employed at Smith & Dove Manufacturing Co. David Leslie had a large garden and planted several fruit trees on his property. He was married to Catherine B. and had two children son James B. and daughter Alice. 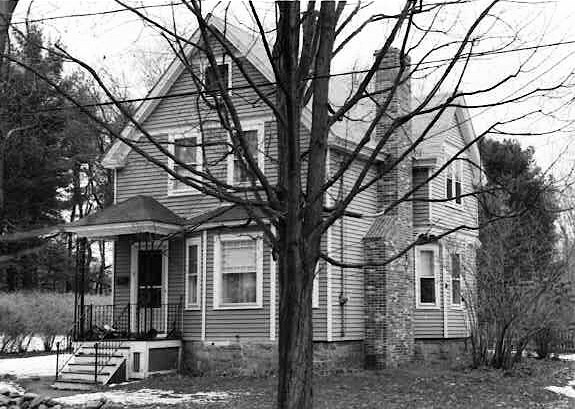 About 1918 Lesile's wife moved out of the house and went to live with her son James and wife Florence in Hartford CT.
David continued to live in the home until his death at age 75 n Feb. 25,1928. His heirs then sold the property to Andrew & Elizabeth (Bisset) Ferrier on July 13, 1928. Andrew and Elizabeth were both Scottish. Andrew was born in Froickheim Scotland and Liz in Dundee. Elizabeth arrived in Andover in 1905 and Andrew followed in 1906. They married and had nine children; Doris, Margaret, Elizabeth, James, Helen, Robert, Andrew, Jessie and Barbara. This home was the first and only home they would own. The price was $3700. The Andover Savings Bank held a $2500 mortgage and the Leslie family held a note for $1200. The Ferrier clan of ten moved into the three bedroom house on the quiet street, used only to access woods and farm fields. With such a bright new beginning no one could have imagined the events that would unfold in the months and year ahead. In late October, Andrew became ill while working at the Andover Guild. He contracted Pneumonia and died on November 16, 1928 at the age of 47. Elizabeth, now a widow, with eight children ranging in age from 3 to 20 years. 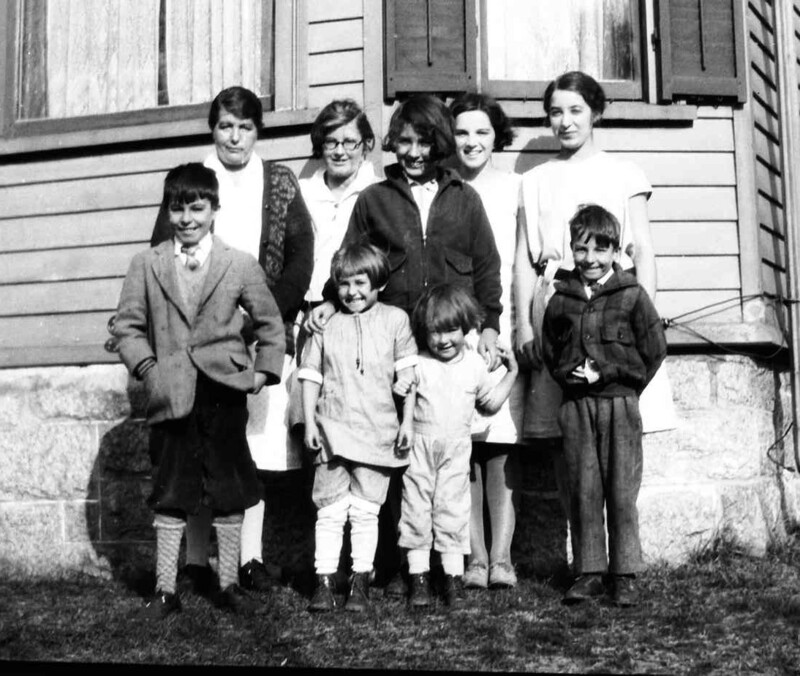 The family dynamics changed quickly without the head of the household and the beginning of the Great Depression in1929. Elizabeth had a mild stroke a few months after Andrew died. This affected her speech somewhat as she could no longer pronounce the letter “B” as it always came out as “D”. Gramma never lost her brogue or her mental capacity and sense of humor. With the onset of World War II and most all the children now married, working or enlisted in the service, Liz was forced to sell the house in 1943. The property sold for $4000 to neighbors, John & Sadie Sullivan, who used it strictly as an investment property. She moved to 96 Maple St. with her daughter Barbara.lived for six months with daughter Helen Batchelder at Argilla Rd. when all the men were off at war. With the return of her sons Andrew and Bob in 1945, she moved back to Abbot Village into a four bedroom duplex at 48 Red Spring Road. It is said that the Sadie Sullivan had the fruit trees cut down on the property and the garden returned to a lawn. 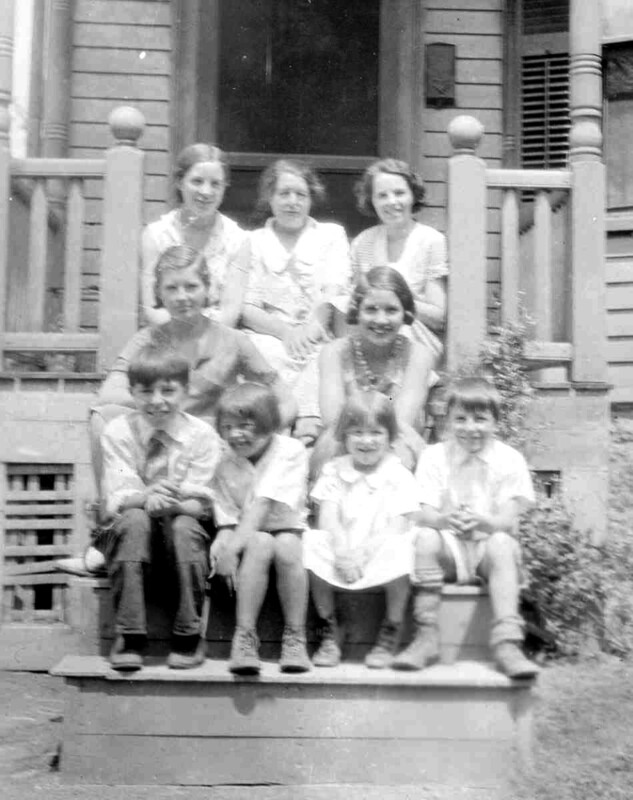 Ferrier family 1929 in front of 3 Moraine St.